Coming in 1st Place, with 91 votes, Peter Pan’s Flight! A few weeks back, I did a series of informal polls; one about your favorite Magic Kingdom Mountain, one about your favorite Magic Kingdom show, and lastly, one about your favorite Magic Kingdom attraction! And the comments went on and on and on! Thanks everyone for contributing to the post! With 40 votes, Pirates came in a distant 2nd! Coming in second place was Pirates of the Caribbean. I thought the voting would be closer, but since this is a VERY unscientific poll, take the results with a grain of salt! From a personal perspective, I like Pirates better because it is a great ride that almost never has a long wait, unlike Peter Pan; so I can ride it multiple times versus only once with Peter Pan. Not that I dislike Peter Pan’s Flight — because I love it — but I really like the speed with which I can ride Pirates! Coming in third, the Haunted Mansion, with just 28 votes. Of the three attractions I listed here, I guess I would put the Haunted Mansion in 3rd place. 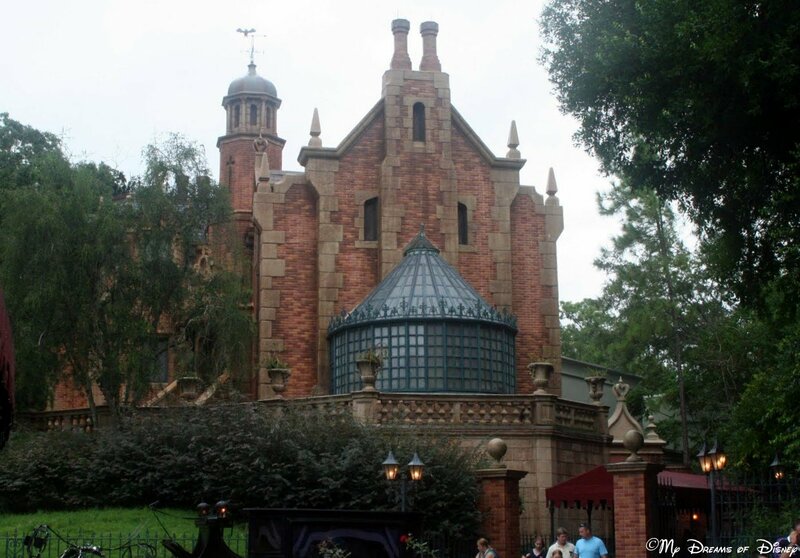 I like the Haunted Mansion, and we ride it at least once every time we go to the Magic Kingdom, but it isn’t the top thing on my list of things to do. Thank you for participating in our little informal poll! What do you think about these attractions? How do you rank them? Let me know in the comments, and thanks everyone! 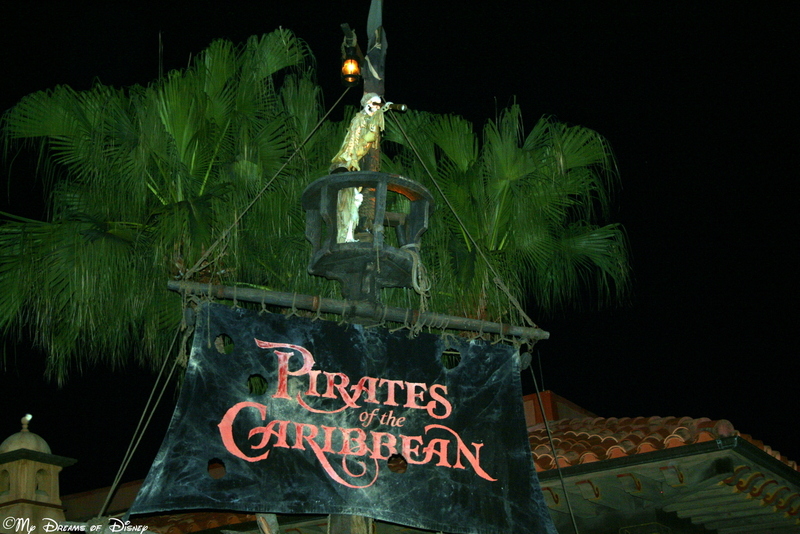 93 Days til Disneyland – Pirates of the Caribbean! Today, my friends, is Day 93 in our countdown til Disneyland! While I didn’t know this until yesterday, I still find it ironic that yesterday was the 46th anniversary of Pirates of the Caribbean opening at Disneyland! I had done this countdown list over two weeks ago (the order, not all the posts, mind you) so it is entirely coincidental that my pick for today is Pirates, the day after it’s anniversary (as I illustrated in my Tiggerific Tuesday Trivia post last night). As I’ve said many times, Pirates of the Caribbean is one of my favorite attractions at Walt Disney World, so it stands to reason that I’m going to like the Disneyland version just as much, if not more, then the Disney World version. I can tell you right now that one thing I am definitely doing is experiencing lunch or dinner at the Blue Bayou, that restaurant in New Orleans Square that has seating overlooking part of the ride. I can’t wait! So, for those of you that have been to both parks, and ridden Pirates at both parks, which one do you like better? Why not tell me in the comments, please? Thanks!